I love our little home and I am so excited to share two special nooks! I feel like the bedroom and your desk are the two most important places. 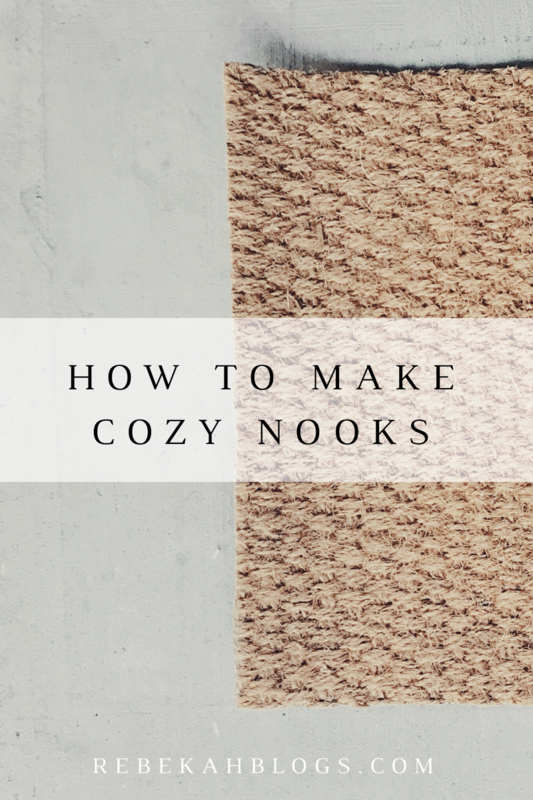 I am so excited to share how I made these two nooks special for us. I wanted to do a house tour, but honestly, I started decorating for Christmas already so after Christmas I will do a house tour on my YouTube channel! I think using a common color pattern and wood tones throughout the apartment give it such a cohesive feel. I used a lot of greys and whites throughout the apartment to make everything kinda match. I think with such a small area it can be so hard to decorate without clashing. In the bedroom, I used very little furniture to make the room feel bigger. I found the coziest duvet cover from Amazon of all places, the look and feel of the duvet make it such a cozy environment. We strung up the Edison bulbs to use as lighting instead of using the harsh ceiling fan light, we ended up having an outlet that linked to switch which was so stinking great! I really wanted a crisp look with the white but gave it a little texture with a patterned sheet and I pulled the color in the sheets into the accent pillow. On our desk, I tried to include a lot of fun photos to keep the area uplifting. I also love using different things to hold my pens and pencils. I actually found the pink creamer bottle at Magnolia Market on a trip to Waco with my mom. I also used a cleaned up pepper shaker to hold some pens. I think having a neat and clean area help me to focus on whatever I am doing.